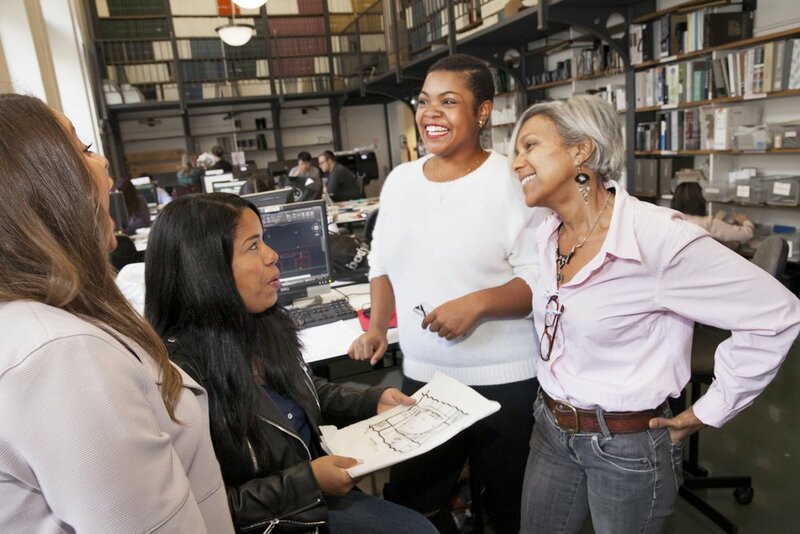 We encourage all prospective students to visit NYSID during their college search. A campus visit is the best way to experience the college’s culture and ask questions about our programs and community. Information sessions and tours are held throughout the year and are led by our admissions staff and students. Please note, times and availability are subject to change. Sign up for a scheduled tour or make an appointment for a time that works for you. Call the Admissions Office at 212-472-1500, ext. 205 or e-mail admissions@nysid.edu with any questions. Pre-registration is required. Sessions start promptly. Please arrive at least 5 minutes to start time to check in. If you cannot attend a scheduled tour time, admissions staff are available at the uptown campus located at 170 East 70 Street, Monday through Friday between 9 AM-5 PM for a one-on-one counseling appointment. Please call or email to schedule. It’s a unique opportunity to learn about the profession, and see how our degree and certificate programs will give you the knowledge, technical ability, and credentials you need to succeed. Hear from professionals, faculty, and students; see student work; and tour our facilities. Admissions staff, a financial aid officer, and academic advisors will be available to answer any questions. The New York School of Interior Design has two facilities. NYSID's uptown facility is on the Upper East Side and the Graduate Center is on 28th Street and Park Avenue South. Find out more about our facilities here.